We've been seeing signs for a little while that Google Pay was readying transit ticket support, with the website even being updated to confirm as much. We've been furiously checking the app to see if there's any sign of the feature, only to be disappointed each time. Now, Google has made transit tickets on Google Pay official. The first update to the Google Pay app since the rebranding has been making its way out into the world. The new version doesn't appear to bring any visible changes beyond a few pixel-level adjustments, but it includes a couple of neat topics for a teardown. We'll briefly discuss the imminent merger of Google Pay Send, then dive into the subject of supporting transit tickets, where they might be supported first, and some of the other quirky details to look forward to. Big companies like to put their names on places where a lot of people go. It's a sign that they're big. It's a form of advertising that people can't turn off. Every time you go to an event, you type in the company's name followed by the words "Center" or "Arena," and there you are. T-Mobile wanted some of that action, and now it has an arena of its own. According to USA Today, the company has reached a deal with MGM Resorts International to sponsor the new 20,000 seat arena set to open in Las Vegas in the spring. The carrier intends to follow a similar rollout plan as its initial HSPA+ expansion. The first round of cities included Baltimore, Houston, and Washington D.C., followed by others like Cincinnati, Indianapolis, Portland and many more. 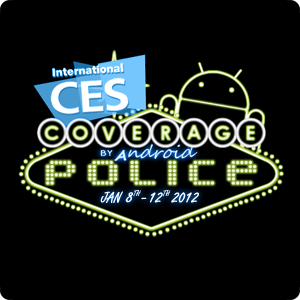 Follow Live CES 2012 Coverage With Android Police January 8-12 - Here Is What To Expect! Folks, in less than 24 hours, the busiest, craziest, and most exciting (for gadget geeks anyway) event of the year will begin in Las Vegas and continue non-stop through all of next week. Of course, I'm talking about the Consumer Electronics Show (CES) where almost 130 thousand people are going to be touching, drooling, ogling, and playing with countless products put on display by companies from all over the world, big and small. Hell, half the fun will be catching all the announcements of products we can't even touch yet - ones we may not see for many months. Tablets, phones, phablets, tabphones, 3G, 4G, 5G (OK, maybe not 5G just yet), dual-cores, quad-cores, Android-powered TVs, goggles, and even dongles - we'll see them all! Looks like Motorola won't be the only one showing off a Honeycomb tablet at CES 2011 - according to the Korea Times, LG plans to bring an 8.9-inch Android (2.4?) device to the infamous electronics show. While the words "LG," "Honeycomb," and "tablet" are probably enough to excite many Android fans, the Korea Times was also able to confirm that LG will have another awe-inspiring device on display at CES: the much-anticipated Optimus 2X, better known as the world's first dual-core phone. What say you - are you ready for LG to (finally) make its appearance on the high-end Android scene?